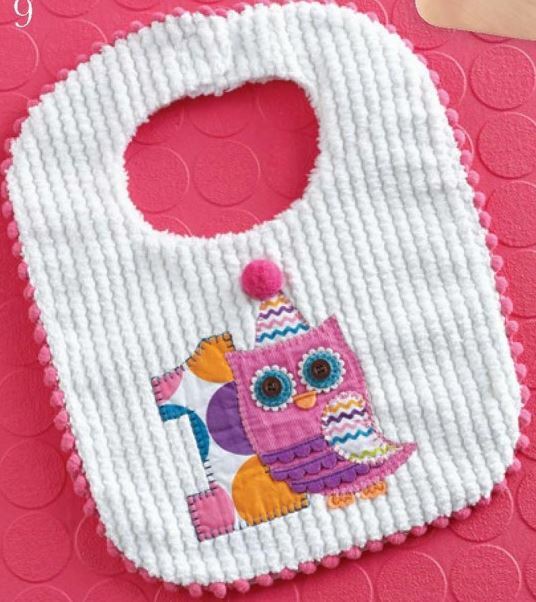 This fun chenille baby bib is perfect for baby's first birthday featuring a polka dotted number 1 and owl with party hat applique, pink pom-pom trim and a soft minky back. Generously sized at 10" x 12" - great for keeping birthday cake off of baby's birthday outfit. Part of Mud Pie's Birthday Wishes collection of baby clothing and gifts.